Greetings from LAX – Part Five of the V Australia Boeing 777 Delivery Flight. Sitting in a barely air-conditioned Alaskan Airlines terminal area, the immediate space is one of those designs where the combination of layout and surface causes PA’s, loud noises, and for the most part general conversation to bounce around and around until you have no idea what anyone’s saying or your own thinking, and the noise never seems to end. Of course, after 28 hours awake, my tolerances are lower than usual. And I’m now definitely smelling worse than I did in Auckland, and not all of it is mine. Yuck. As I mentioned at the end of my last post – I have discovered why I was unable to secure a spot next to an empty seat on either of my AirNZ sectors. 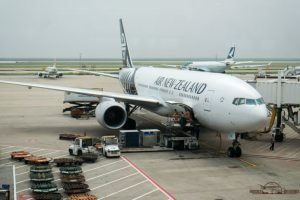 While seated at the departure gate in AKL, 45 minutes before the sked ETD (by which time check-in is closed and all seats should be allocated) I was connected and checking the seating on my flight. I was much relieved to see that I had retained my position in a row of my own on the AKL-LAX sector. However, as I looked around I began to suspect there may have been a schism between the AirNZ website where I was looking at my seat and the booking systems used to allocate them in real time. The first hint was that the departure gate was packed – standing room only. The second hint was that rather than the spacious B747-400 depicted on the website, parked at the stand was a much smaller B777-200. Hmmm. The flight from Auckland to Los Angeles was Full-Full-Me-Full-Full, with just the odd empty seat here and there. 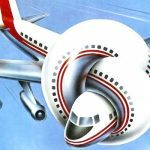 I’ve realized that contrary to my perceptions, my international travel experience is actually quite limited by the fact that I’ve mostly traveled just one airline. As such, I still find it surprising/amusing/annoying when another airline’s cabin crew continually make PA’s advising the passengers what they’re about to do. And so on. It’s really, Really, Annoying. Two things I forgot to mention before. One was that on the MEL-SYD flight, somehow that nice sturdy little silver luggage tag they gave us during Jump On Board indoctrination training (which I save and attached especially for this trip) went missing. Since the only way I can perceive this sturdy little trinket would have come off was for it to be unscrewed and taken off, I was a little miffed, to say the least. Also, on the AirNZ flight SYD-AKL, not only did the safety demonstration fail to operate, we had the boarding music still playing all the way to AKL (including as we disembarked – along with the obligatory explanatory PA’s) I almost felt like I was back on a sub-continent Ek flight. I suspect I might have gotten an hour or two’s sleep on the AKL-LAX flight, but I can’t be sure. I took along some work to do – laptop and a manual to read. Laughable really; I keep forgetting that in Economy, there’s no room to read, no room to open your laptop, no room to flex your mind; and your mind/body is so deeply into survival mode anyway, you can’t expend the resources on anything else. Being in the middle of the middle, I didn’t see much of LA during the arrival. It’s a beautiful day here with blue skies and a temperature in the high twenties (that’s inside the terminal – not sure what it’s like outside). LAX airport is one of those large airports that you can tell at some point was much, much smaller. There’s a wide selection of construction styles and ages, something for new and old alike. But all of it looks like it peaked in the 70’s. 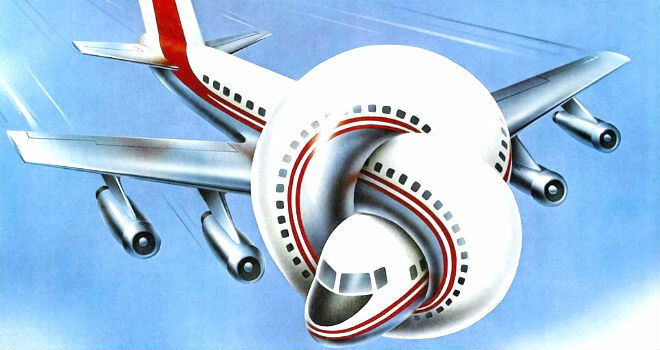 When I was growing up, Flying High (known as Airplane in the States) was released. Coming from an aviation family, I saw it quite a number of times. So when I walked out of the terminal to the disembodied “There is no Parking in the White Zone” I was fully expecting a male voice to follow with “Betty, don’t give me that White Zone Sh!t again.” Unfortunately not. Just the Red Zone warning. There are “Travel Assistance” counters everywhere in the airport, staffed by volunteers. Their job is to chat to you, tell you about their grandkids, listen to your stories about your kids, and talk on the phone. Stuck to the counters are signs and posters that should tell you most of what you wanted to know when you stopped at a travel assistance counter. I see a StarBucks over the way, so I’m headed there in lieu of finding anywhere with actual coffee. Hopefully 5 hours from now I’ll be in my Hotel in Seattle. I’ve unpacked a coat and jumper, at this point I’m very much looking forward to 4°.